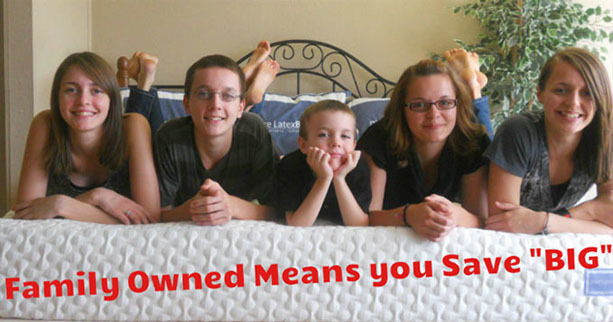 We are Family Owned and Owner Operated with over 24 years of Mattress Sales Experience. Our owner, Darrell , has been in the mattress and discount furniture business since 1994. Darrell moved to Florida 15 years ago from Chicago, (he was tired of being cold), and has been supplying high quality mattresses to families in Spring Hill, Homosassa, Hernando Beach, Brooksville, New Port Richey, Port Richey, Hudson, Holiday, Tarpon Springs, Palm Harbor, Oldsmar, Odessa, Tampa, and surrounding areas ever since. He is proud to call Spring Hill his home. Darrell promises that he will always give you honest, expert advice when shopping for a new mattress. Darrell's promise to his customers is to bring back the feel and personal service of the good ol' days....Our mattress business is centered around service, comfort, trust, and respect. Darrell and Anthony are sleep experts and will help you pick out your new mattress set, but just in case you didn't get it right, we offer you a 60 day Comfort Guarantee. Chiropractors and Doctors recommend you sleep on your new bed for 30 days before you decide to make a comfort exchange, because the body needs that much time to adjust to a new bed. If you feel you have not achieved your desired comfort after trying it for the first 30 days, and you are unsatisfied within 60 days, you may exchange your purchase for a mattress of equal of equal or greater value. Mattress Avenue does not charge a 10% restocking fee that the other stores charge. You will receive 100% of the price you paid toward your exchange. Why pay up to 40-60% more for the same name brands, and the same quality ?? Sealy, Stearns & Foster, iComfort, iComfort Directions, Simmons, Serta, King Koil, Latex Bliss, Adjustable Beds by Leggett and Platt, and Factory Direct Beds. We specialize in the latest technology in bedding: 100% Pure Latex, Memory Foam, and the newest technology Memory Foam/ Gel Beds like the new iComfort by Serta, iComfort Directions, and the new imattress by King Koil.